The Mt. Tarumae & Mt. 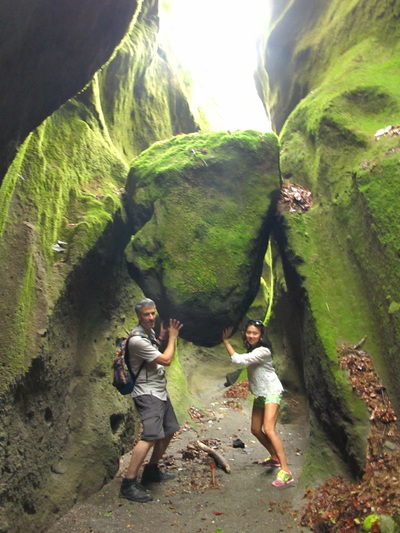 Moiwa Day Trip is for mountain lovers who wish to minimize the driving time and maximize their time out in nature. The day will start with a one hour drive to Lake Shikotsu, a beautiful caldera lake that’s the deepest in Hokkaido, where we can go sightseeing by the lakeside promenade. From there, it’s a short drive to the midway point Mt. Tarumae, where the hike begins. The one hour hike to the top of the crater rim is well maintained, but steep. You can choose to enter the heart of the volcano - which last erupted in 1909 - and walk up to the steaming sulfur vents, or hike along the undulating crater rim. The moonlike setting and dramatic views make this one of the most spectacular and accessible hikes in Hokkaido. After descending back to the car park, we’ll drive around the lake for a hot springs bath at one of the best hot springs in Hokkaido, Marukoma Onsen, where the outdoor baths overlook the lake. On the way back to Sapporo, we’ll drive up to just below the peak of Mt. Moiwa, where a 15 minute hike leads to incredible views from the observation deck. 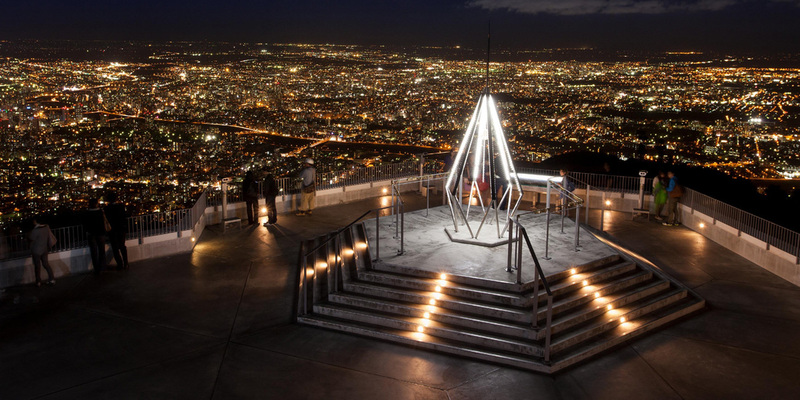 The views over Sapporo, reaching as far as Daisetsuzan National Park and the Sea of Japan, is the perfect way to end a nature lover’s day. 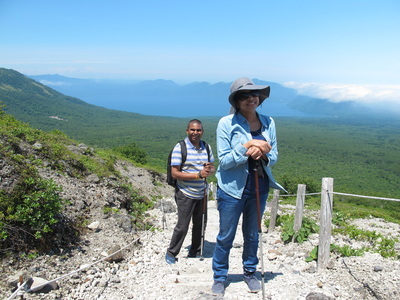 ✔ Stroll along the promenade of the beautiful mountain-ringed Lake Shikotsu, Hokkaido’s deepest lake. ✔ Hike to the crater rim of Mt. 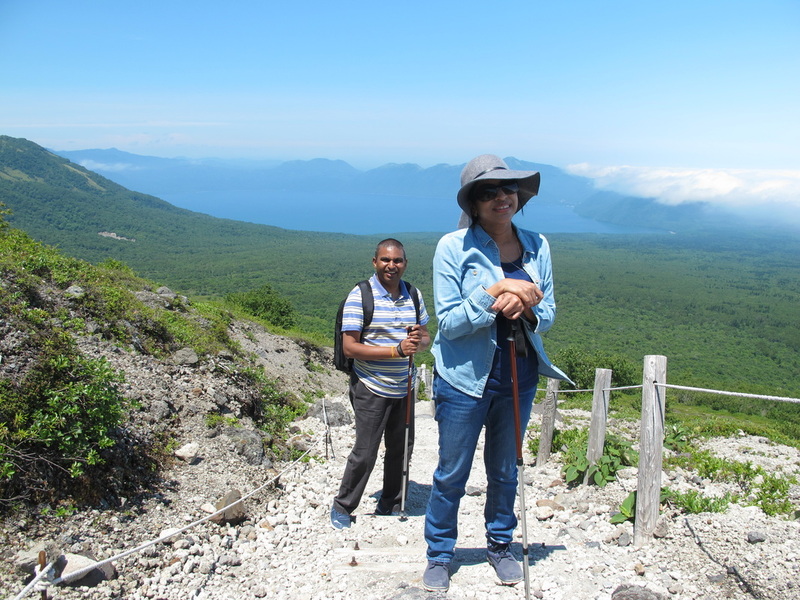 Tarumae, an active volcano that’s one of the most spectacular and accessible hikes in Hokkaido. 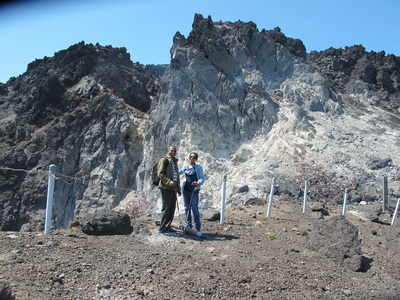 The side trip to the sulfur vents at the heart of the volcano is unforgettable. 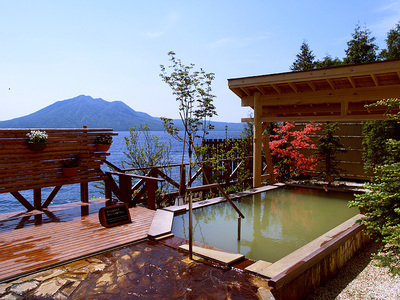 ✔ Bathe at Marukoma Onsen, one of the best onsens in Hokkaido, where the outdoor baths overlook the lake. ✔ Drive and walk to the summit of Mt. 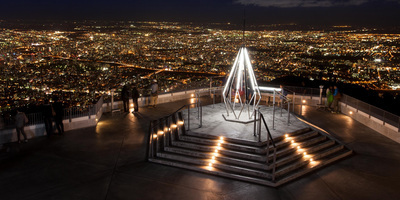 Moiwa for magnificent views of Sapporo and beyond from the observation deck. 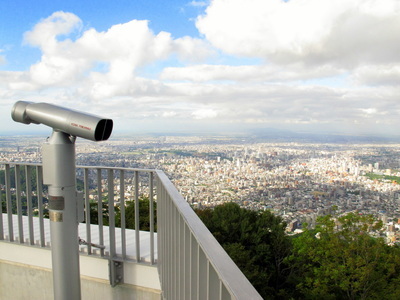 ✔ Guided hiking, lakeside sightseeing, hot springs, Sapporo city observatory & more! Please note that this itinerary can be modified to match your personal preferences. Pick-up from your hotel. We’ll stop at a convenience store along the way to pick-up lunch supplies (self-pay). Enjoy strolling by the lake shore and admire views of the mountain-ringed lake. 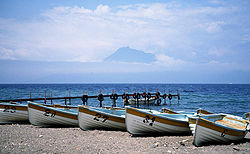 Embark on a one hour hike to the crater rim of an active volcano, where the landscape is moonlike and the views grand. 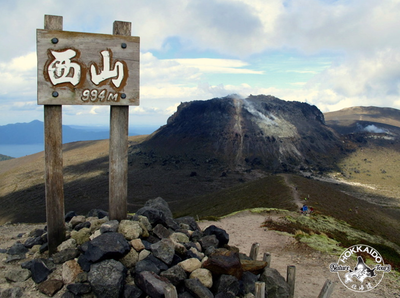 You can further extend the hike by heading into the sulfur steaming heart of the volcano, or further along the undulating crater rim. We’ll stop at a convenience store on the drive to Lake Shikotsu, where you can stock up on lunch supplies (self-pay). One of the best hot springs in Hokkaido, with outdoor baths overlooking the lake. Bring your own onsen towel or rent one on site. Drive to just beneath the peak of Mt. Moiwa, from where it’s a 15 minute walk to the observation platform for stunning views over the city, neighboring mountain ranges and the Sea of Japan. ​Paramount for HNT tours is the safety and well-being of our clients. 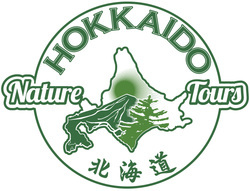 Our extensive experience in the mountains of Hokkaido and internationally gives us a profound respect for the powers of nature, and we will not hesitate to alter a trip if we encounter adverse weather conditions. All scheduled plans in the itinerary are subject to change according to safety conditions. Your safety is truly our top-priority. We take great care in creating the ultimate tours for our guests which are uniquely matched to their preferences. We will endeavor to follow the itinerary to the greatest possible measure, however, due to weather conditions, guest safety, or unexpected delays in the course of a tour, we cannot guarantee that every activity on the itinerary will be completed. HNT is not responsible if aspects of a tour cannot be achieved. If a tour prematurely ends because of an inability to continue due to reasons attributable to HNT, a refund will be provided for any missed tour activities, not including reservation payments that cannot be refunded from tour operators or other establishments. A minimum 50% deposit must be received no later than 30 days before the start of a tour. The remainder can be paid in cash upon arrival. Cancellations by any participants made by 30 days before the start of a tour are eligible for a 50% refund; Cancellations by any participants made within 30 days of a tour are not eligible for a refund.